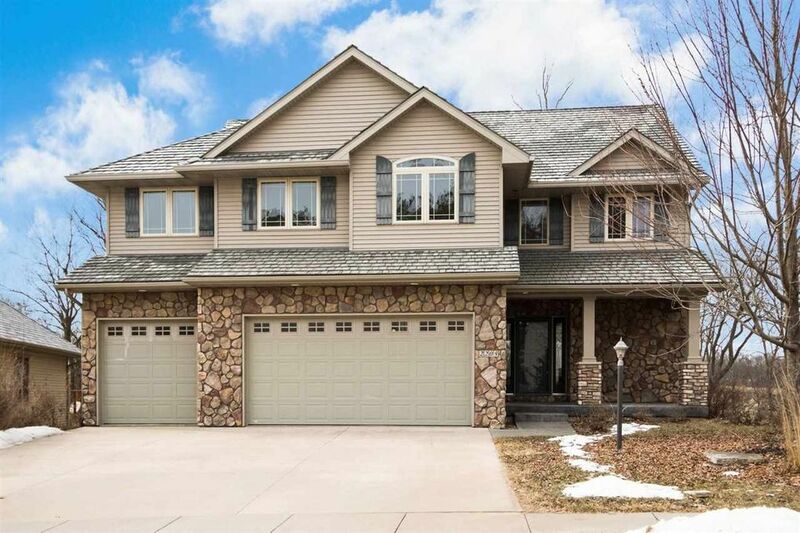 5 Beds 4 Baths 1 Partial Bath 3,300 Sq. ft. Solid Rocca built 2 Story situated on a great lot in a park like setting with private wooded views in beautiful Pine Hill Estates! There are 4 generous sized upper level bedrooms including a spacious master suite that boasts a double door entry and corner jetted tub with separate shower along with a large walk-in closet; open staircase and catwalk that overlooks the dramatic 2 story great room and entry; Brazilian cherry wood flooring through the main level; solid doors; maple trim; granite kitchen with a center island, pantry and cherry cabinetry; mud room area with built-in desk; corner stone fireplace; walkout lower level family room with 9 ft. ceilings, built-in entertainment center, and granite wet bar; 2nd floor laundry room with folding counter and utility sink; screened porch and deck with stairs to an expansive stamped concrete patio; lots of windows for great natural lighting; upgraded rubber roofing material; great storage space and built-in shelving; wired for audio and theater; central vacuum; and extensive landscaping with some great stone work including walls, steps and more. The house is being sold as is and is priced accordingly. Directions: 12th Ave. North of Oakdale Blvd. to Dempster Dr.